You should never head out for a ride without a water bottle or hydration pack on you. Extra water can mean the difference between heat stroke on a hot day, and can help you keep your brain sharp if you get in a tricky situation. If you’re riding with a passenger, make sure you pack enough water for them, too. Two of the essential items when you leave the house on your motorcycle are a tire repair kit and a basic tool kit. Whether you need to patch a flat or replace a fuse, you should always have this essential equipment with you. If you’re not sure how to fix small problems, consider taking a course - doing so can come in handy when you’re on the road! If you’re on any prescription medications, include extras of these as well. A first aid manual that can guide you through treatment of basic injuries and emergency medical situations is useful if you don't have a smartphone. If you’re heading out for a ride that’s longer than just your basic commute, make sure you pack a cell phone and an extra battery or/and charger within your motorcycle emergency kit. This way, if you’re in a motorcycle accident, or you experience another emergency, you can quickly call for help. If your trip is considerably long, consider a solar-powered charger – this will allow you to charge your phone even when you’re away from an electrical outlet. A motorcycle emergency kit can help to keep you taken care of—and get you back on the road—if an unexpected event happens. But vehicle safety also requires wearing the right gear, using a helmet and riding safely. 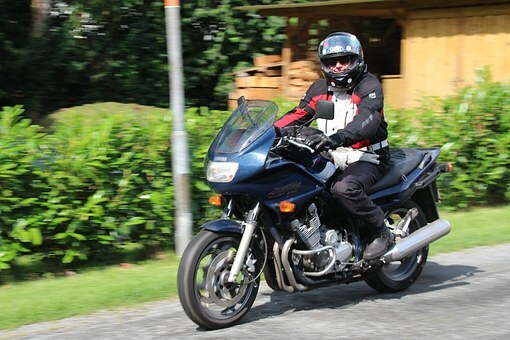 Browse through our motorcycle accident library to learn more about new safety equipment and other ways to prevent crashes. And if you have a question about liability and damages after a breakdown or accident does occur—especially one that causes you injuries—call an attorney. Contact the attorneys at Walker, Billingsley & Bair for a free consultation online or at 888-435-9886.